UPDATED: More Parks for Eureka? 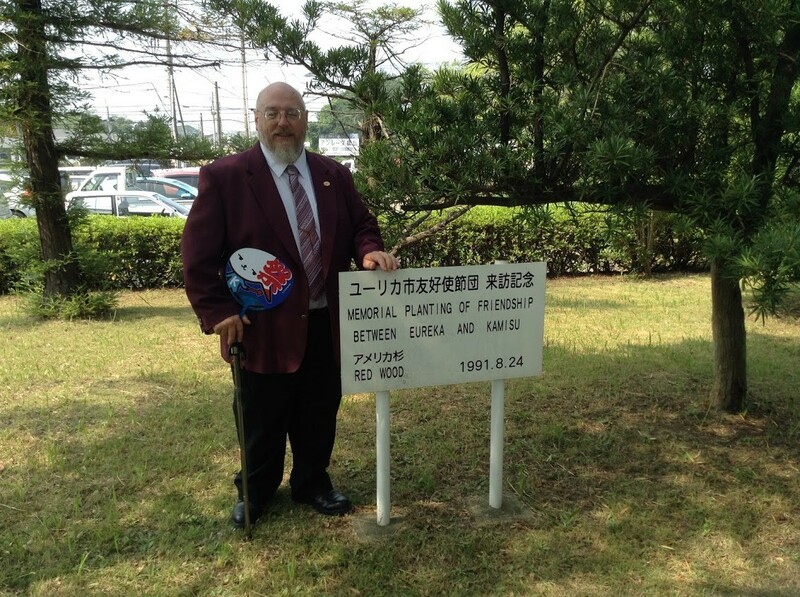 Harvey II, member of the Eureka-Kamisu Sister City Association, poses with the redwoods planted by Kamisu officials. Miles Slattery reached out to the Journal to clarify on a couple of points, first emphasizing that turning the landscaped areas into parks would not increase his staff’s workload. He also said there has been a miscommunication between the Kamisu City representatives and the Sister City Association. Next Tuesday the Eureka City Council will vote on whether to create two more parks in the city — "pocket" parks designed to occupy existing landscaped areas. The tiny parks, one at Fourth and Q streets, and the other at Broadway and Fairfield, would serve a spectrum of needs. The Fourth and Q streets location would become a small cherry blossom orchard, honoring Eureka's sister city, Kamisu, Japan. Kamisu, which has its own small redwood forest in honor of Eureka, offered to donate the 100 trees several years ago but, according to the Eureka-Kamisu Sister City Association, no appropriate location had been found. The 4,000 square foot triangle at Broadway and Fairfield Street would rechristened Coast Guard Park, commemorating Eureka's status as a Coast Guard City. 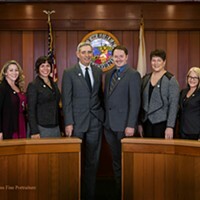 According to the language in the agenda item, "Eureka is one of only 21 cities designated by Congress as Coast Guard Cities, and the first of only three cities in California to receive the distinction." Eureka Parks and Recreation Director Miles Slattery has said in the past that the current parks budget is inadequate to properly maintain existing properties, which include 600 acres of space spread across 13 parks, nine playgrounds and six ball fields, as well as all landscaped areas around city properties. So why would adding cherry trees and a sign honoring the Coast Guard be a boon rather than a burden for Parks and Rec? Well, according to the agenda item, these landscaped areas, which are currently part of Parks and Recreation's workload, are already attracting "park-like usage despite not being designated as parks." The change could allow "the department more flexibility in their management and allow for the enforcement of park rules." Asked about this, Slattery responded in an email that the Eureka municipal code "has certain provisions related to parks that could be enforced in these areas if approved by council." He might be referring to provisions against camping, smoking, sleeping, loitering and public drinking, all of which currently happen on the regular at these two city-owned properties, which are highway-adjacent and have signs welcoming tourists to Eureka. Asked if designating the areas as parks would discourage inappropriate use, Eureka Police Chief Andrew Mills was noncommittal. "I'd love to see more diversion taking place," he said, but added that he couldn't exactly post an officer there all day. "Some people feel that strictly enforcing municipal codes will solve all problems. I see no evidence of that." Kamisu boosters (full disclosure: this includes the Journal's own production manager and art director, Holly Harvey) are excited about finally being able to accept the generous gift from Japan. 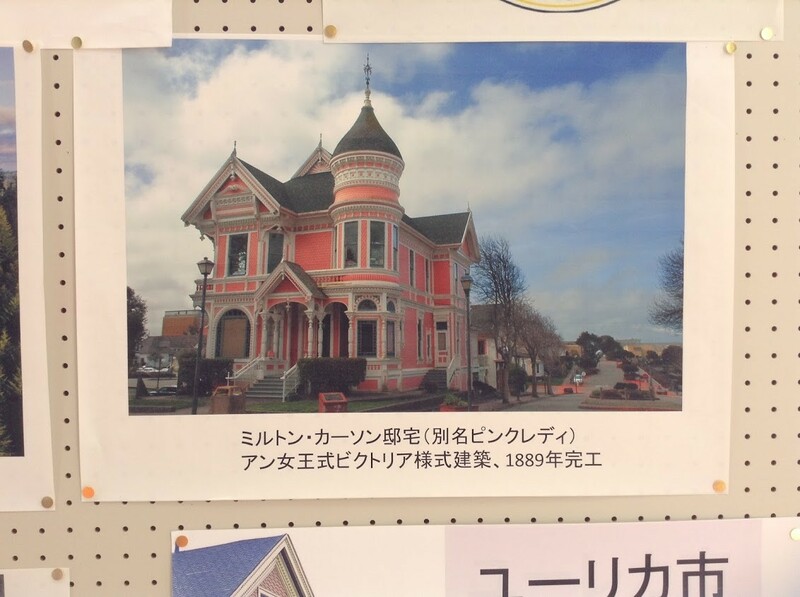 J.R. Tilghman of the Eureka-Kamisu Sister City Association said in an email that the Fourth and Q streets site is a good start but unfortunately not big enough to incorporate the organization's full vision. "The plot is small and clearly not all 100 trees will fit there, so we've been considering [an]other location in addition to Fourth Street," he said. "Cherry blossoms are traditionally planted in two rows to form an archway between them, this requires quite a lot of space, but it's what we'd like to if we could." Tilghman added that the associatin is "overjoyed" at finally being able to accept the gift. "Our relationship with Kamisu is a valuable and irreplaceable resource; the similarity between our cities are striking," he wrote. "It may be a hard pill to swallow, but Eureka could learn quite a lot from its sister across the pond." 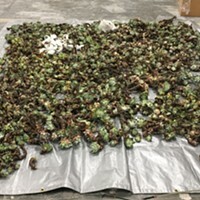 Editor's note: This article was updated with some clarifying language about Park and Recreation's responsibilities to maintain landscaped areas as well as parks.